Living Eucharist? What is it? Living Eucharist is a daily blog to offer opportunities and encouragement to deepen our participation in Sunday Mass. First it helps us prepare for each Sunday’s Mass by focussing in turn on the principal elements of the Liturgy of the Word. Acknowledging that the Liturgy of the Word is often structured with readings chosen to complement the Gospel reading and that can seem a little arbitrary until we know what the Gospel reading is. 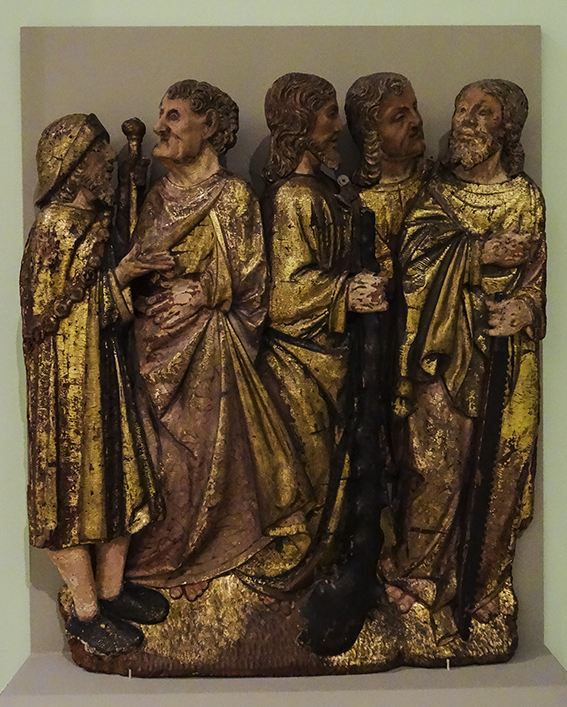 So, each week, the blog begins on Thursday with the presentation of the coming Sunday’s Gospel. It continues over the following three days, ending on Sunday with the First Reading, ie presenting the readings and psalm of the Liturgy of the Word in the reverse order to how they are heard on Sunday. In the three days following the Sunday, various elements of the Mass are considered or reconsidered. 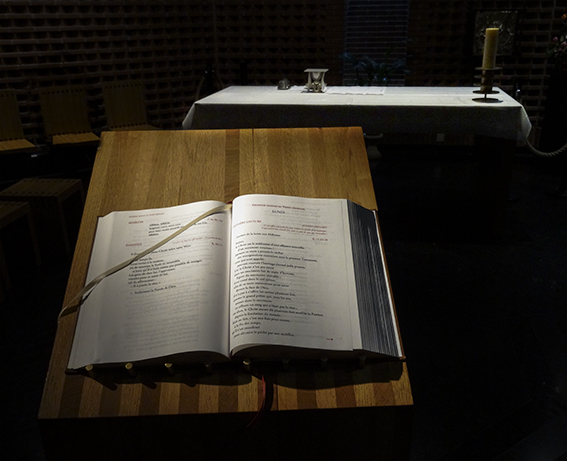 Generally the blog returns to elements of the Liturgy of the Word, but may also consider other elements of the Mass of Sunday. These will from time to time certainly include the Collect, Preface, or particular diocesan or national Days of Prayer. To receive the daily postings, please subscribe to Living Eucharist direct, or follow this Blog, or our parish Facebook page. The Second reading at Mass on Sunday, the 22nd Sunday of Ordinary Time begins a number of weeks of reading the Letter of James – termed ‘an epistle of straw’ by Martin Luther (in other words he didn’t like it!). You might like to (re-) read the Letter as a whole. It is short. And having that overview will surely enrich your hearing and praying with the extracts over the coming Sundays. It is all that is good, everything that is perfect, which is given us from above; it comes down from the Father of all light; with him there is no such thing as alteration, no shadow of a change. By his own choice he made us his children by the message of the truth so that we should be a sort of first-fruits of all that he had created. So do away with all the impurities and bad habits that are still left in you – accept and submit to the word which has been planted in you and can save your souls. But you must do what the word tells you, and not just listen to it and deceive yourselves. Pure, unspoilt religion, in the eyes of God our Father is this: coming to the help of orphans and widows when they need it, and keeping oneself uncontaminated by the world. The translation of the Scriptures used in our Lectionary is from the Jerusalem Bible. In this case, the translation of the first line of this passage introduces an idiomatic English structure which, particularly when read without the previous verse, may make the sentence less clear, and some readers to stumble. This is a staggering profession of faith, a confession of thanksgiving. One of the reasons Luther was less than keen on the Letter was because of its emphasis (elsewhere) on our good works. But here, right at the beginning, James sets out his stall. All that is good begins with God. All we can do, and should do, and must do, is by way of response to the God who is Good, and who shares with us his love and goodness in an infinite number of ways. Count the blessings of today. Give thanks to God for them. Think how you can best make use of them.